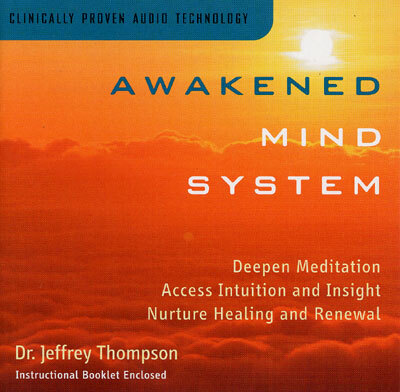 Created by Dr. Jeffrey Thompson, The Awakened Mind System uses breakthrough audio recording processes to help you access this brainwave pattern so that you can directly experience the enormous benefits of this heightened state of consciousness. Dr. Thompson embeds inaudible pulses of sound which mirror the Awakened Mind Pattern into an ambient musical soundtrack. The result is that your own brainwaves begins to reflect the Awakened Mind pattern, drawing you easily into enhanced inner awareness, dynamic creativity, deepened meditation, spiritual connectedness, healing and renewal.